Faxes are annoying, but every once in a while I need to send a form or document. However I don't have a fax machine, but I do have a printer that has a scanner. So instead of spending time and money to go to Kinkos, I just do it for FREE online. 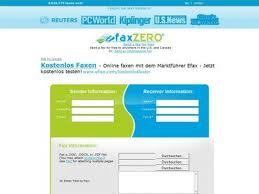 Faxzero.com - You can only send 3 pages + a cover at a time. You will be asked to pay for anything over that. You can always, break up the fax into separate sends if you have more pages than 3. Also, I guess there is an ad on the cover page, but that's never caused me any problems. If it's a more professional fax, this may not be a good option. Hellofax.com - this works through google, so it's super convenient to use with google documents, skydrive, dropbox, etc. You get 50 free faxes to start off.